Public School Forum NC will present its 2019 Local School Finance Study during a breakfast event Feb. 19 at the N.C. Museum of Natural Sciences. The day will be a busy one for education news: State Superintendent Mark Johnson has promised a “major announcement” for North Carolina’s education system during a dinner that night at the Raleigh Convention Center. Johnson and his staff are mum about what the big announcement will entail. They have noted, however, that no tax dollars will be spent for the dinner. “We’ll be happy to share that at the event,” Drew Elliot, spokesman for the N.C. Department of Public Instruction, said when asked who’s paying. Kelly King, chairman and CEO of BB&T is the keynote speaker. The decision to keep quiet about the “major announcement” has fueled lots of talk, including speculation that North Carolina is one of five states selected for a new K-12 initiative funded by the conservative Koch network. “The details will become clear on the night of the event,” Elliot said. Brian Hooks, president of the Charles Koch Foundation and the Charles Koch Institute, told reporters attending a fundraiser and retreat in California that the initiative would operate in five states and affect 15 million students. “It includes investments in curriculum to better support teachers and students, new technology to help families find the right options for their kids, and in public policy reforms that begin to get at the root causes and not just the symptoms of the challenges we see in the education system today,” Hooks said. 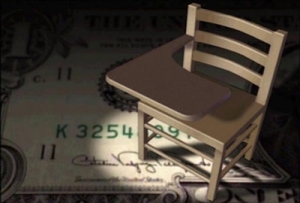 Meanwhile, the 2019 Local School Finance Study will show a growing disparity in the amount of money urban districts spend on students compared to what their poorer, rural counterparts spend. According a Forum news release, the state’s 10 highest spending counties spent on average $3,200 per student compared to $755 by the 10 lowest spending counties. That’s a $2,445 difference per student and the largest gap since the forum began tracing the figure in 1987. “At a time when local school finance is a hot-button issue in North Carolina, we’re pleased we can present the findings of our annual Local School Finance Study to lawmakers while simultaneously providing an opportunity for constructive dialogue between policymakers and those who are working on the front lines of school finance every day,” said Keith Poston, the Forum’s president and executive director. A panel discussion by superintendents and finance officers will follow the Forum’s presentation. Participants will include Kerry Crutchfield, former chief financial Officer, Winston-Salem/Forsyth County Schools; Anthony Jackson, superintendent of Vance County Schools; Patrick Miller, superintendent of Greene County Schools; Seth Prevette, CFO of Wilkes County Schools.